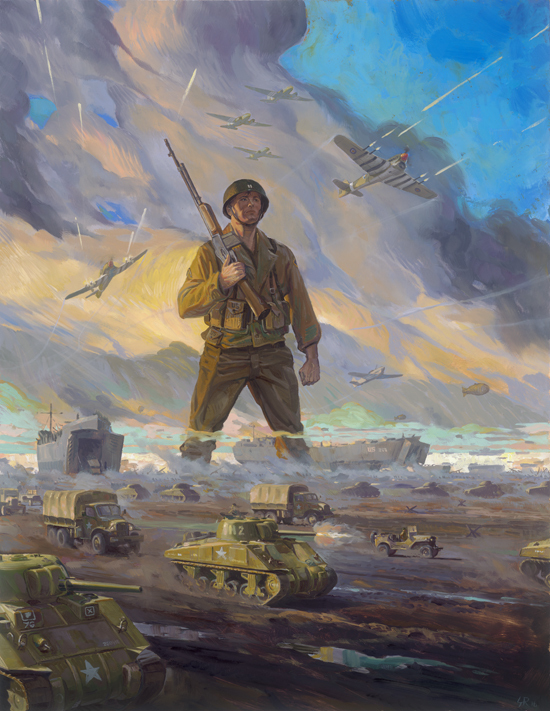 The legendary World War II Real-Time-Strategy series Sudden Strike returns to Windows PC, and premiers for the first time on consoles with a PlayStation 4 release, in just a few weeks! Today, Kalypso Media is excited to show you the awesome bonuses that the physical “Day One Edition” of Sudden Strike 4 will feature at retail! Acclaimed for his work on Emmy award winning TV show Game of Thrones as well as video games such as Killzone: Shadow Fall and Ryse: Son of Rome, the extremely talented artist, Robert Simon, has collaborated with Kalypso to define Sudden Strike 4’s distinctive art style. 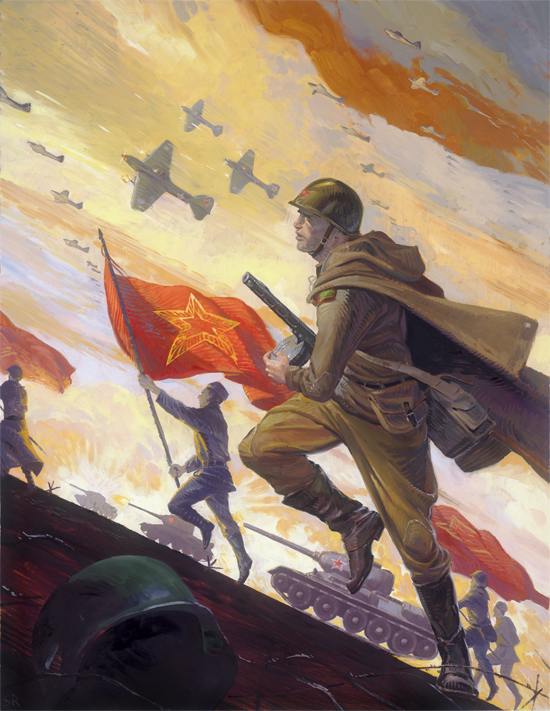 The Day One Edition of Sudden Strike 4 on Windows PC and PlayStation 4 will feature three of Mr. Simon’s World War II propaganda poster inspired oil paintings in-box as reversible bonus covers, themed after each of the three factions featured in Sudden Strike 4 — Western Allies, German and Soviet. 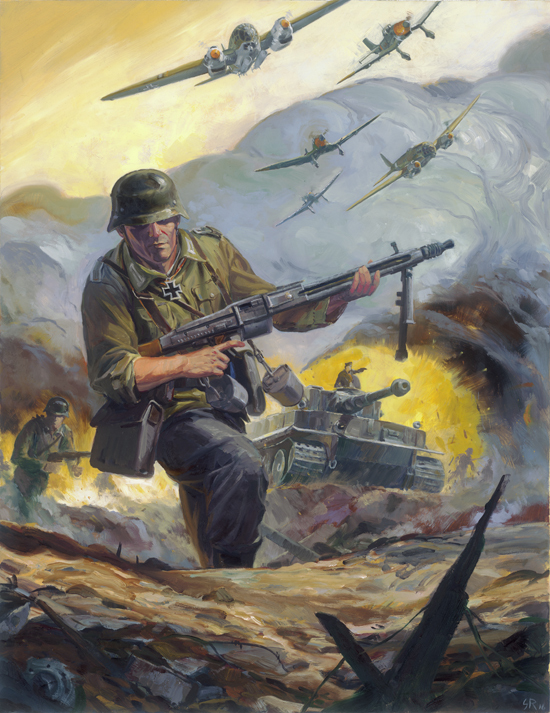 The Sudden Strike 4 Day One Edition for Windows PC includes the 'Battle of Kursk' Skirmish map, a digital artbook and a digital soundtrack. These bonuses are also available digitally via Steam for Windows PC, Linux and Mac. Additionally, there is currently a 15% pre-order discount available on Steam that includes immediate access to both the beta test version of Sudden Strike 4 and the original Sudden Strike Trilogy. Steam customers can also download the free Sudden Strike Quiz app on iOS and Android devices to unlock further stackable pre-order discounts for a potential total of up to 25% off. The PlayStation 4 version of Sudden Strike 4 is available as a Day One Edition complete with digital artbook and digital soundtrack. In UK and export territories (excluding North America, Latin America and Canada), a Limited Edition Steelbook is also available, which includes a bonus documentary DVD, soundtrack CD and double-sided poster, as well as the digital artbook and a slipcase for the stunningly-designed steelbook packaging. Sudden Strike 4 offers countless ways to vanquish your opponents. Exploit the weak spots of tanks, set up an ambush, occupy buildings with infantry and snipers, out manoeuvre the enemy with clever positioning or unleash devastating air support – how you approach each mission is up to you!